Roc Solid Foundation, the Yuengling Shamrock Marathon Weekend’s premier charity, builds hope for kids fighting cancer by providing them with opportunities to do what they do best – play. They are best known for their Play It Forward initiative, which surprises kids with custom built playsets in their backyards. Roc Solid also provides Ready Bags to families who have just learned of their child’s cancer diagnosis. The bags include everything that family will need for an unexpected hospital stay, sending a message to them that they’re not alone as they begin the terrifying journey of fighting childhood cancer. Operation Smile mobilizes a world of generous hearts to heal children’s smiles and transform lives across the globe. Founded in 1982, Operation Smile, headquartered in Norfolk, Virginia, is a world wide children’s medical charity whose network of global volunteers are dedicated to helping improve the health and lives of children and young adults. Since its founding, Operation Smile volunteers have treated more than 160,000 children born with cleft lips, cleft palates and other facial deformities and the organization has a presence in over 60 countries. LIVESTRONG and J and A Racing have joined together to raise more than $700,000 for the fight against cancer. Come join us and hit the ground running! So many of us have been affected by cancer and have personally fought the good fight or watched loved ones battle this invasive disease. The LIVESTRONG Foundation is supporting people, in Hampton Roads and all over the United States, who have been affected by cancer. Through research, clinical trials, fertility assistance, LIVESTRONG at the YMCA programs, and LIVESTRONG in Schools, The LIVESTRONG Foundation is increasing survivorship and encouraging people to be their best and LIVE STRONG! Join TEAM LIVESTRONG out on the course in March to celebrate life and Sham-Rock-On! Team EVMS will run/walk to support ground-breaking cancer and diabetes research at EVMS. EVMS is proud to be here for our community, each and every day. We’re here for you with comprehensive care, groundbreaking research, and the next generation of dedicated health care providers. As the largest biomedical research institute in southeastern Virginia, EVMS focuses its cutting-edge research on the most pressing needs of our community, with implications for patients around the globe. JOIN OUR FIGHT! Access College Foundation is an award-winning, nationally recognized not-for-profit that provides students, who otherwise may not have the opportunity, with the path to attend and complete college. We offer a full range of college access services free of charge to all public school students and parents in Norfolk, Portsmouth, Chesapeake, Virginia Beach, Suffolk, and Northampton County, Virginia; and support services to college students on 13 Virginia campuses. Our service continuum gives students from grade 7 through college graduation the knowledge, encouragement, and financial resources necessary to achieve their college dreams. 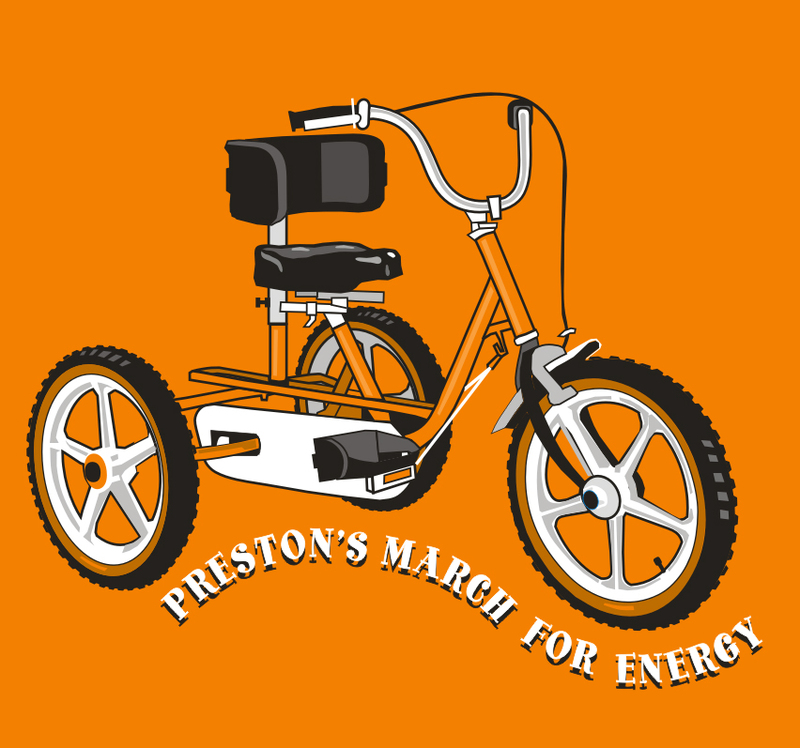 Preston’s March has made the dream of having a bike to ride come true for over 330 children in 34 different states. 7 years ago The Buenaga family shared that same wish for their son, Preston and when Preston rode his bike for the first time they knew they wanted to “pay it forward”. That became a reality when Preston’s March was incorporated in 2011. With over 70 children on the waiting list donations from individuals, corporations and fundraisers, are crucial to help make more smiles! Last year J&A Racing helped present bikes to 6 very special children from the Hampton Roads area during the Shamrock weekend. Join Preston and his family and friends as they raise more funds to make more dreams come true. The smiles that a child has when they hop on their very own bike is absolutely priceless. Why not choose a “reason to run”! You can help a child ride a bike! Email Deb Buenaga at deb@prestonsmarch.org to learn more.